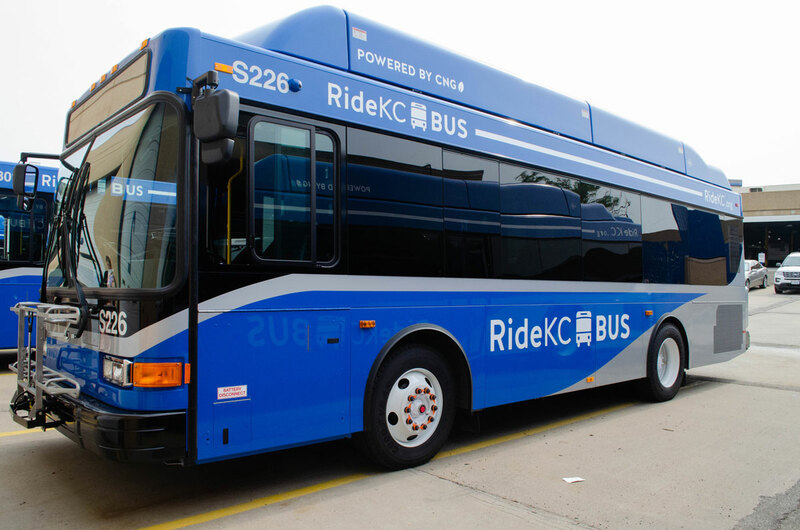 This summer you’ve probably noticed some new RideKC buses as you travel around town. We’ve replaced 38 buses in the KCATA fleet this year, and there’s a lot of new features to love. Customers have told us how helpful the WiFi is on MAX and some of the local buses. With the replacement of nearly 40 buses, now every KCATA bus has FREE WiFi, under the network name RideKC. Another popular feature of the new buses is the vinyl seats. The move away from cloth seats means that it’s easier for our maintenance team to keep the seats cleaner, and it’s easier for customers to see how clean a seat is. The new buses also have fixed windows. This will cut down on the loud, rattling windows that riders may have experienced in our older buses. And, the fixed windows will allow for better climate control. All the new buses use a compressed natural gas fuel system, resulting in significantly lower operating costs and reduced air pollution. The new buses also include a safety barrier to protect bus operators. 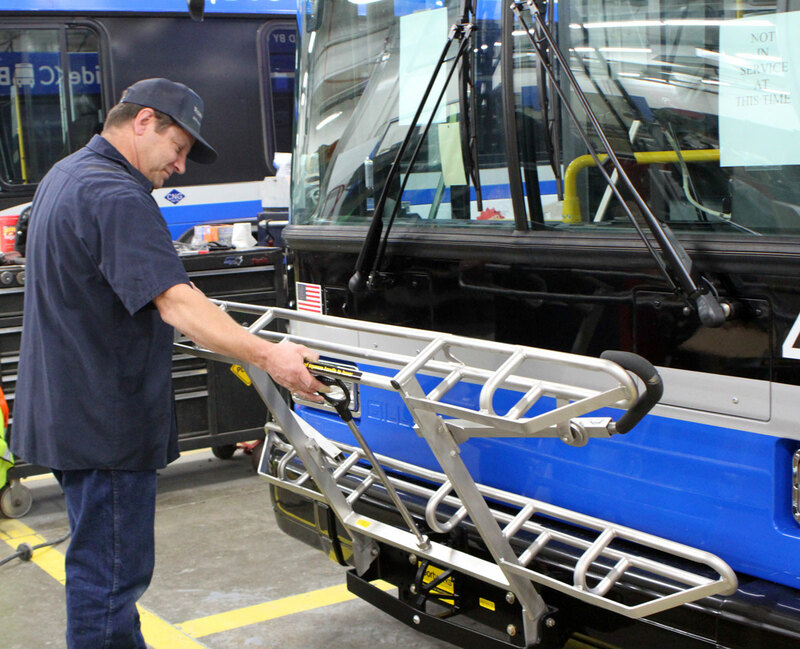 Above: Mechanics inspect the buses, including the bike racks, before the RideKC vehicles can hit the road. The 38 new buses were manufactured by Gillig and include 18 29’ buses and 20 40’ buses. KCATA purchased the buses with a $8,986,350 grant from the U.S. Department of Transportation’s Federal Transit Administration (FTA) and a 20% local match from KCATA. This award was the biggest “Bus and Bus Facilities Grant” KCATA has earned since 1993. Above: A new bus shines as KCATA gets the vehicle ready to hit the road.